Looking For A Spectacular New Script That Will Attract New Members In Hoardes & Generate Tons Of Extra Profit For Your Business? THIS MONEY-MAKING SCRIPT IS SUPER HOT! THERE'S ABSOLUTELY NOTHING THAT COMPARES TO THIS LEVEL OF POWER! 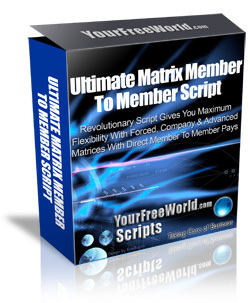 Exciting Company Forced Matrix Script Makes It Easy To Build An Instant MLM Program That Pays! If You're Attracted To SPILLOVER, Then This Is The Perfect Script For Your Business! Here's How To Immediately Stand Out From The Crowd With Cutting-Edge Crypto Coins Autopay Matrix Technology & Highly Sought After Customisation Options! Everywhere People Are Raving About This Script That Lets You To Easily Run A Matrix Using Crypto Coin As The Payment Processor! Here's How To Immediately Stand Out From The Crowd With Cutting-Edge Ethereum Autopay Matrix Technology & Highly Sought After Customisation Options! Everywhere People Are Raving About This Script That Lets You To Easily Run A Matrix Using Ethereum As The Payment Processor! The Next Big Thing after Bitcoin is Ethereum! 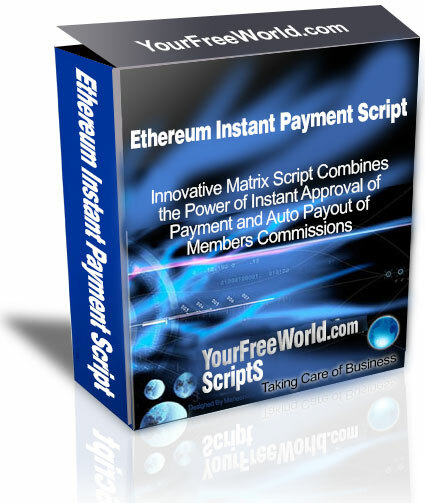 As the name suggests, this newly developed script is one of the most innovative and flexible script available easily to run your Ethereum based Business on automation. 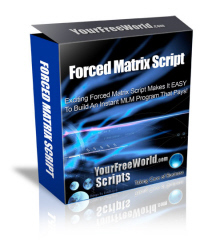 Exciting Forced Matrix Script Makes It Easy To Build An Instant MLM Program That Pays! Who Else Wants To Offer A Fully Featured Money-Making Matrix Program To Their Site Visitors? 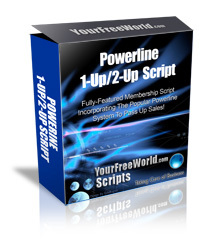 Our Fully-Featured Membership Script Incorporates The Popular Powerline System To Pass Up Sales! How To Effectively Stay On Top Of The Game With The Latest Greatest Powerline Script? Discover Just How Easy It Is With This State-Of-The-Art Script Today! Here's An Exciting Script With Massive Appeal & Flexibility To Let Your New Revenue Sharing Program Stand Out From The Crowd & Generate High Profits! Here's An Exciting Enhanced Version Of A Best-Selling Script With Massive Appeal & Flexibility To Let Your Money-Making Revenue Sharing Program Immediately Boost Your Profits! 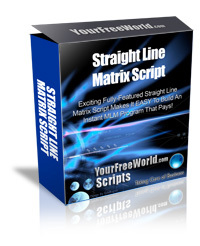 Our Exciting Fully-Featured Straight Line Matrix Script Makes It EASY To Build An Instant MLM Program That Pays You! Here's A Sure Way For Your Members To Generate Multiple Cash Payments Quickly & Easily! Watch Your Membership Expand Effortlessly. 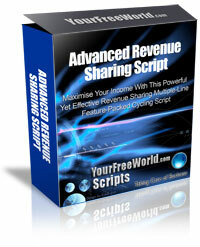 Here's A Quick Way To Generate A Residual Income At Your Web Site! Run your own matrix from your site and attract new members to pay a monthly subscription to join! 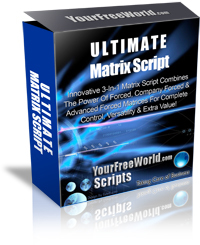 Introducing The Ultimate Boards Script! A Light Yet Powerful Boards Script that Will Blow You Away! This Matrix Script Makes Huge Income a Reality! If you've been looking for something different but extremely powerful to add to your new or existing website, then you're going to love this script! Here's How To Immediately Stand Out From The Crowd With Cutting-Edge Matrix Technology & Highly Sought After Customisation Options! 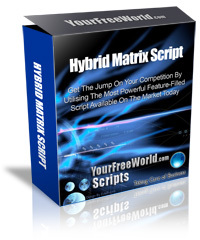 As the name suggests, this newly developed matrix script is the ultimate 'grand daddy' of matrix programs. The Most Prevailing Powerline Script That Allows You To Develop A Viable Line of Referrals That Rapidly Grows And Pays Juicy Profits Like No Other! The Most Prevailing Powerline Script That Save Time, Make More Money and Now Packs a Extra Punch! 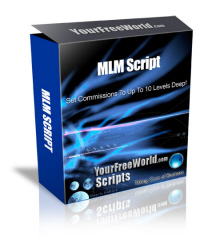 Building A Downline Is Made Super EASY With This MLM Script!